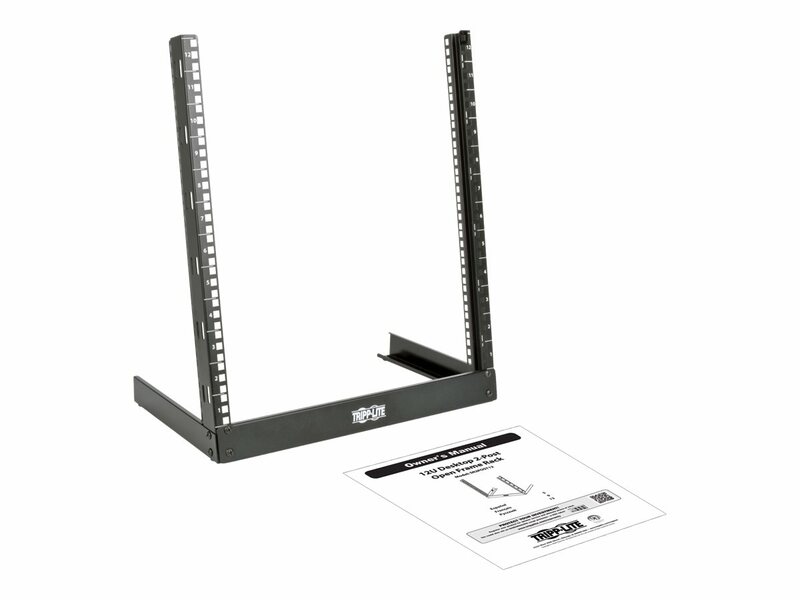 The SR2POST12 SmartRack® 12U Desktop 2-Post Open-Frame Rack provides an economical rack-mount solution for laboratories, test setups, small network closets and other secure IT locations with limited floor space where you need equipment to be organized and easy to access. 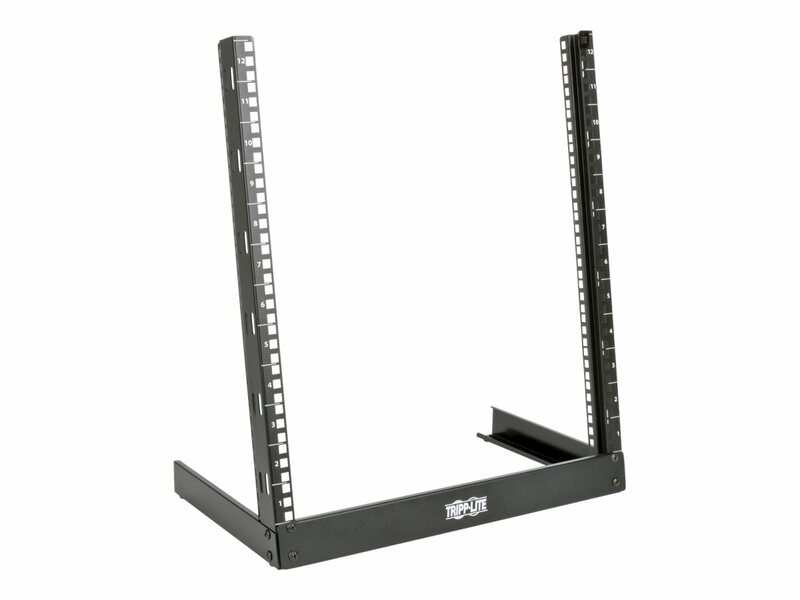 It’s ideal for mounting network switches, routers, patch panels, audio/video components and other EIA-standard 19-inch rack equipment up to 36 inches deep. Constructed from heavy-duty steel with a durable black powder-coated finish, the SR2POST12 has a maximum load capacity of 110 pounds. 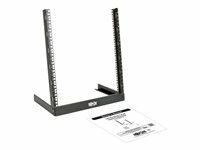 Stationed on a desktop, floor or counter, this free-standing rack saves precious space and allows you fast, easy access at your immediate workspace for organizing, installing and servicing equipment and cabling. The SR2POST12 is easy to assemble using the included hardware. 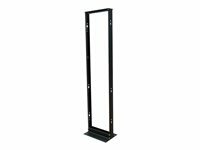 The vertical mounting rails have square-hole mounting and cable management slots for securing equipment to the steel frame. Only user-supplied standard hand tools are required for setup. Maximum load capacity of 110 lb.